There are free Las Vegas discount coupons, promo codes and deals for 2019 for almost anything to do in the city. With only a few exceptions, such as tickets to the most popular shows Cirque du Soleil, for example. You can see most shows, take most tours and visit most attractions for less!But as it's hard to keep track of all discounts running around, so I decided to simply share with you our secrets and show you the websites that offer various free and discount coupons for things to do in Las Vegas. Promo Codes - Huge Savings valid through November 18th - Stay Through March 31! These free printable Las Vegas discount coupons are distributed everywhere around the city, well, for free! There is also an online version of these coupons - simply find coupons that you like and print them, or print the entire thing to take with you on your trip to Las Vegas. Keep in mind that while these free coupons do save you some money, you have to be physically present at the box offices to redeem them, and that's not a fact that you will be able to get to the show of your choice - they are based on availability. It's easy to find half price shows tickets or even get great deals (along with maps and instructions) on Las Vegas restaurants that will save you even more money, but you won't have to run around looking for the restaurants or stand in long lines to redeem a coupon. When is comes to cheap Vegas shows - nothing beats these programs. You can find incredible deals and free Las Vegas discount coupons for almost any show at least at one of these sites. Of course there is also Tix4tonight that offers cheap tickets to shows on the same day, but you have to literally stay in a long line to get them, and there is no guarantee that you will get tickets to the show you want. While with these programs you can save up to 50% of Las Vegas shows by booking your tickets in advance, and have the peace of mind for the rest of your trip knowing that you will definitely watch the show you want on the day you want. If you are a coupons junkie, there are absolutely free coupons distributed in Las Vegas taxis, in hotels and anywhere you can imagine. There is also an online version of these coupons - grab a copy to print, if you like. 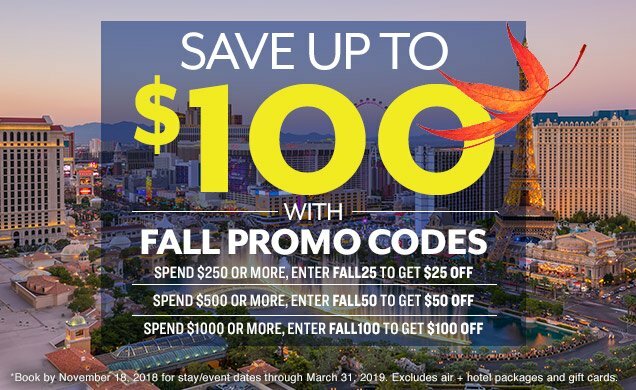 Of course hotels do not distribute deals in the form of free Las Vegas coupons, but they often run half-price deals using sites like LivingSocial or Groupon. Other websites mentioned above can offer hotel deals at discount consolidator rates. They work directly with hotels and buy blocks of hotel rooms at very low wholesale rates, and then sell them to travelers like you and me at discount rates. The best way to find hotel deals is to quickly compare several websites - hotel rates do change, so you should act quickly when you see a good deal. Sometimes it can be easier to get a good deal on Las Vegas tours on one of these websites than directly from a tour company. Vegas.com, Viator and Best Of Vegas actually act like consolidators - an intermediary between you and a company that offers a tour. They buy tours from companies at negotiated rates, and therefore they are able to offer you free Las Vegas discount coupons and deals on many tours. They always have something on sale, so be sure to check all 3 links above as I've given links exactly to the pages with the most current deals. If you get lucky, you can get a good deal of up to 50% off at LivingSocial or Groupon. Power Pass is a completely different story - it includes many specific Las Vegas activities, tours and shows, but the price is per day. Use Power Pass only if you are planning to spend as much time on sightseeing as possible - then you could save hundreds of dollars! If you have other plans (such as gambling, haha!) you are better off with buying individual tours. There are plenty of free Las Vegas discount coupons for dining - from food courts to the best restaurants! The Buffet of Buffets is a very special deal by Caesars Entertainment - when you book two or more nights at any participating hotel by Caesars Entertainment, you will get 2 free passes to any one of these buffets: Harrahs, Flamingo, Paris, Planet Hollywood and Rio. There is also Meal Ticket that includes multiple dining options at the low price of $44 per day, and comes with maps, list of restaurants and directions. I believe it's a much better option than using free printable coupons for 5-50% off, that you can print and take to that specific restaurant that offers the deal. Although the breakfast options of MealTicket are rather limited. Entertainment Book is a perfect source for Las Vegas discount coupons for restaurants, shopping and attractions. It will help you save hundreds of dollars on dining out, although it's not as great for entertainment options, as they are rather limited. For example at Restaurant.com you can buy gift certificates for almost 70 restaurants in Las Vegas. The website also offers reviews and divides restaurants by cuisine. So you can have a lot of fun planning your cheap dining in Vegas in advance by buying cheap certificates to the restaurants that interest you the most! Groupon is also a great way to save on food in Vegas, although they might be more suitable for locals rather than tourists, but check if they have a deal you might be interested in anyway. 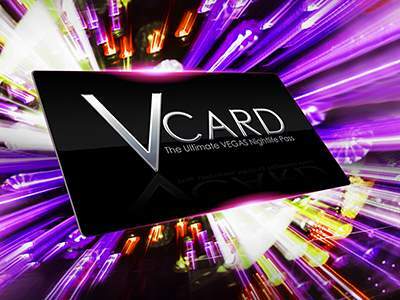 If you are planning to go to Las Vegas nightclubs, there is no better way to save but to get free Las Vegas discount coupons such as V Card . They are similar, but the V Card is slightly cheaper. But if you have any specific nightclub in mind, you could compare the deals to see if it's on any of these 2 programs. Although women usually can get into Las Vegas nightclubs for free, we recommend buying the card anyway if you are traveling in a company with men - after all, it helps avoid the lines, and ladies won't have to wait in line while gentlemen get in. Also check out the Women's Pass - it comes with a free V Card and many other perks interesting to women - such as a free Strip Lesson, shopping and spa coupons and free tickets to Chippendales or Marc Savard Comedy Hypnosis!